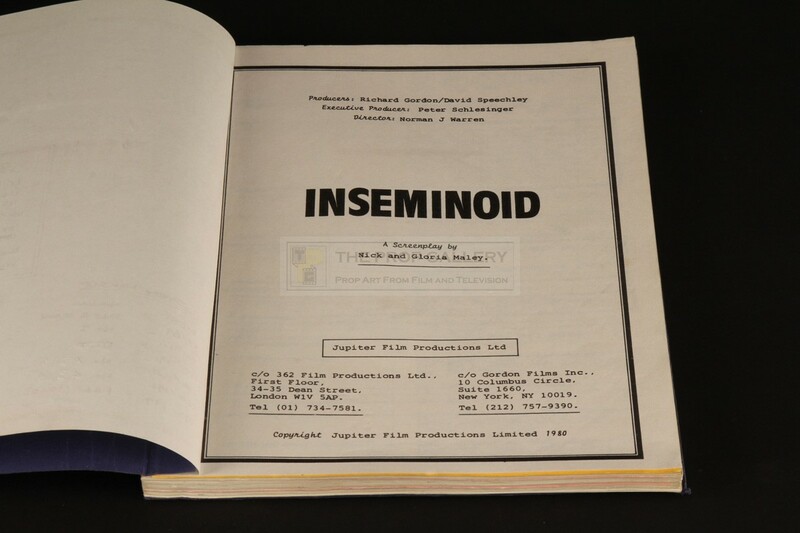 An original script used in the production of Inseminoid, the 1981 science fiction horror picture directed by Norman J. Warren. 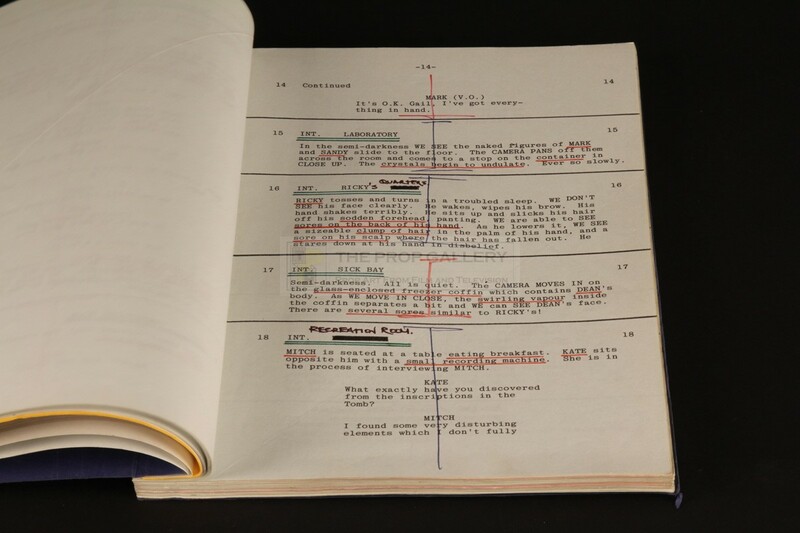 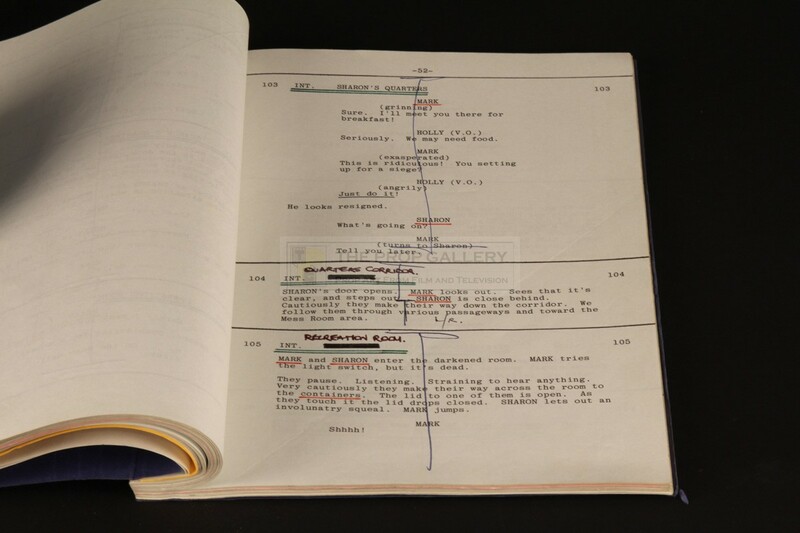 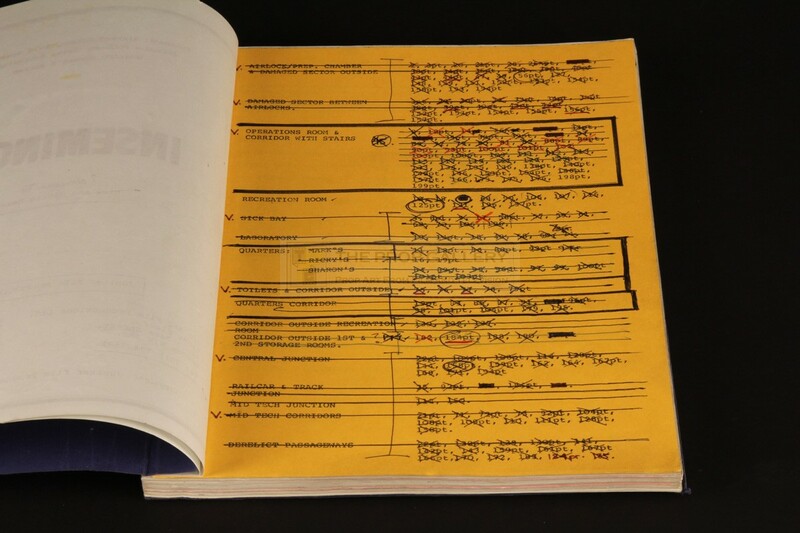 This original production used script dated 1980 comprises of 199 pages bound between front and rear covers of blue card with a window cut out to the front revealing the title of the movie to the interior cover page, in addition to this is a further cover page and a two yellow pages detailing sets and model shots. 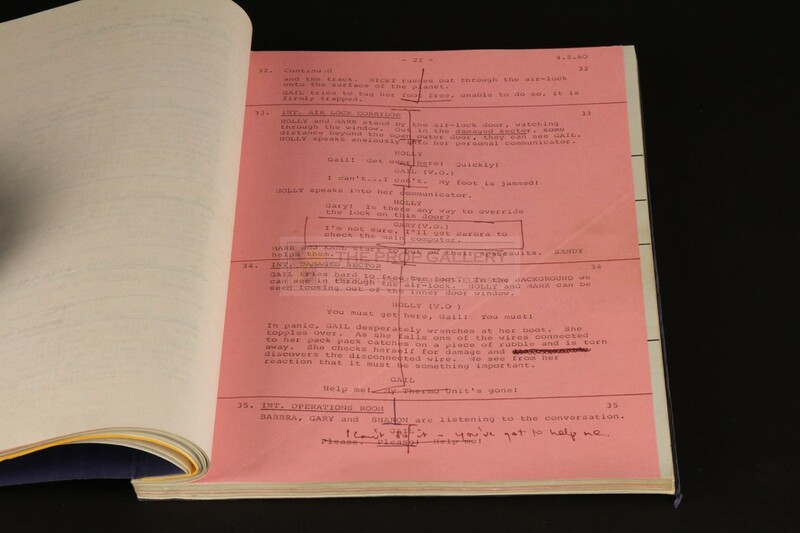 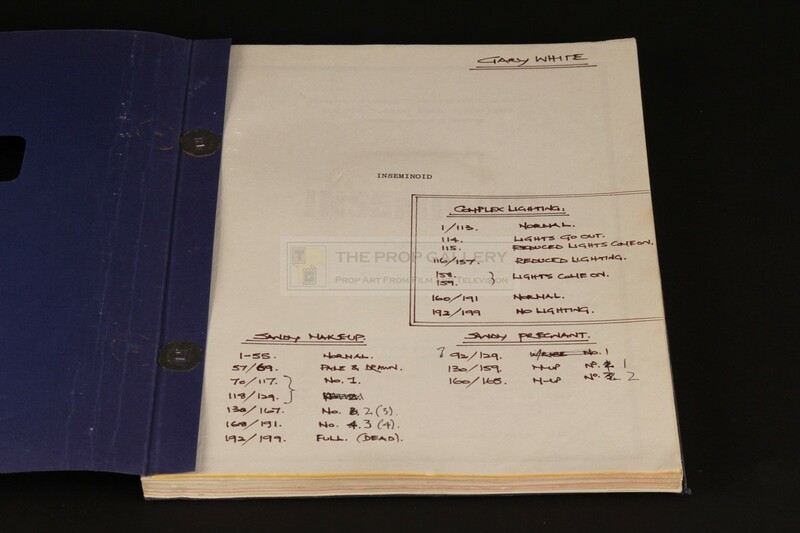 The script is hand inscribed to the interior cover page with the name of first assistant director Gary White who utilised this script during the production, it features several pink revision pages dated 9/5/80 and is heavily annotated throughout in White's hand. 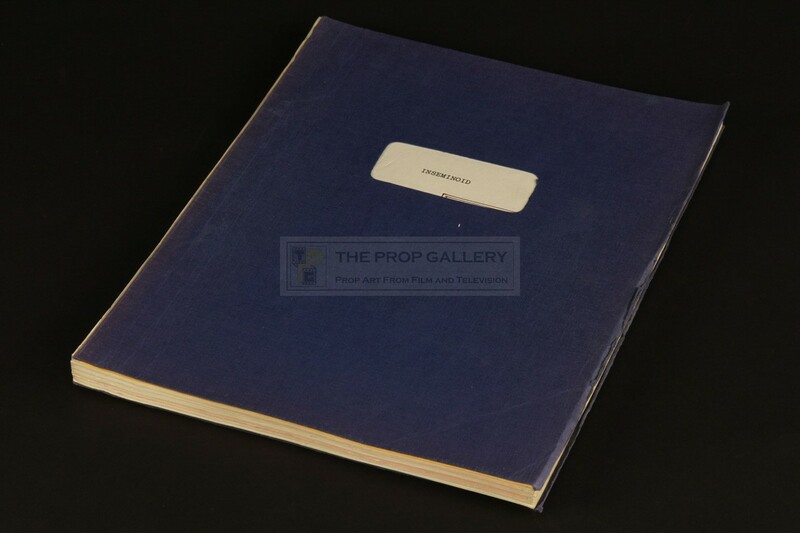 The script remains in generally excellent production used condition exhibiting only minor edge wear to the covers and some toning to the interior pages, overall very fine. A rare example of original production material which clearly saw heavy use during the making of this cult picture.